Some cities are historically related with craftwork. 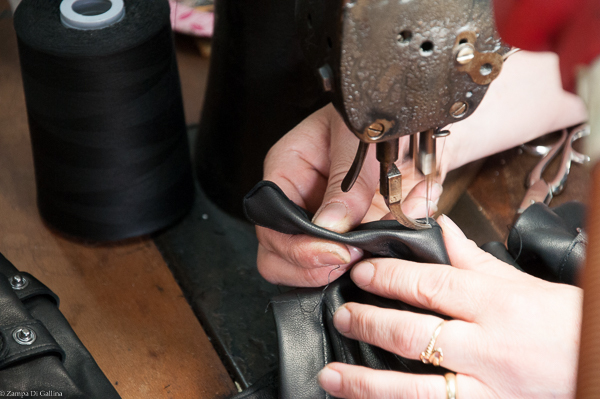 Like Grenoble or Saint-Junien in France, Naples is a historical capital in glovemaking. An art that exists in Naples since the XVIIIth century and which knew a rapid expansion during the XIXth century when the court of the Bourbons decided to settle down in the capital of the Kingdom of the Two Sicilies. Omega is the most ancient glovemaking workshop of Naples. Mauro Squillace and his son Alberto are the heirs of a studio founded in 1923. The Omega workshop, which is located in the working-class area of "La Sanità", is actually a flat. Clients come and enter here as a friend would do. 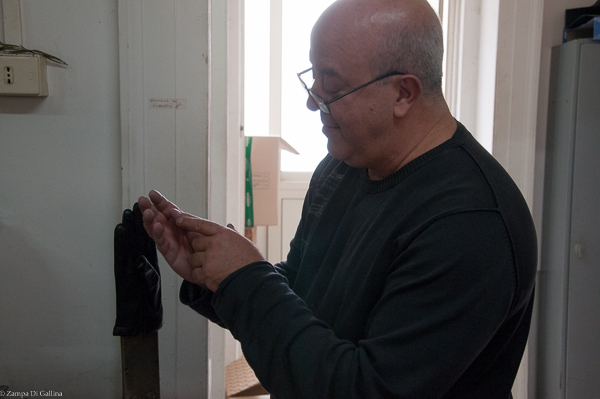 Mauro offers you a cup of "caffè" and shows you to the meticulous work of the Neapolitan glovemakers. 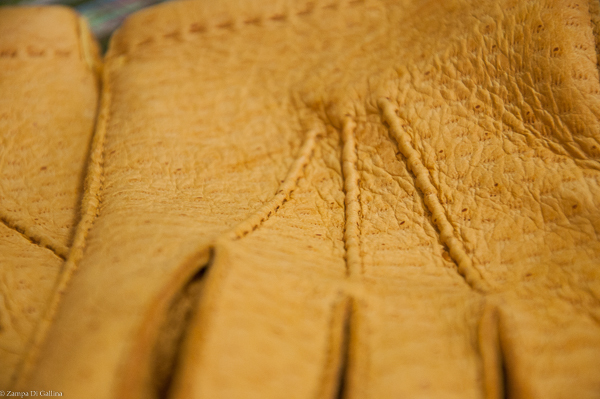 From the cut of the leather, which needs three different operations, to the finishing process, 25 steps are needed to complete a single pair of gloves. The skins are selected by Mauro Squillace himself, the cashmere linings are handsewn in a small workshop close the Vesuvio volcano, and the silk linings are thicker and more resistant than the usual one. 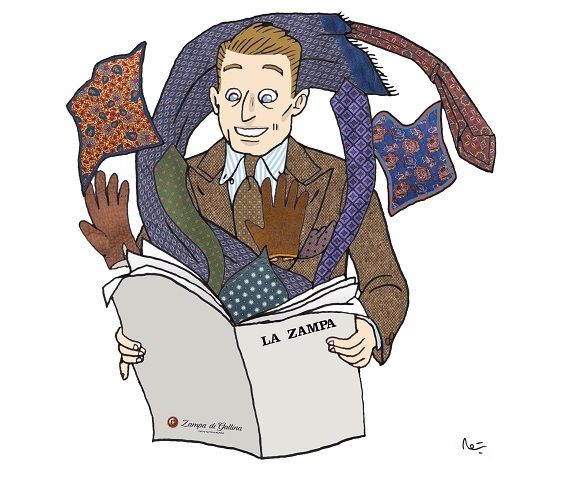 Zampa di Gallina joins together with Mauro and Alberto in order to propose you the most beautiful leathers and the best finish you can find in the Neapolitan glovemaking world. The full-grain or pecarry leather gloves from Omega are probably the finest examples of what Naples can offer as a capital of glovemaking.